Web Design, responsive front-end development and custom WordPress coding for feature film “OFF-ROAD. Mugaritz, feeling a way” directed by Pep Gatell, Creative Director at La Fura dels Baus. Download of different kinds of content, press-kits, video, photo. “One-page” structure, all content is fully loaded in one page, and scrolling parallax effect. 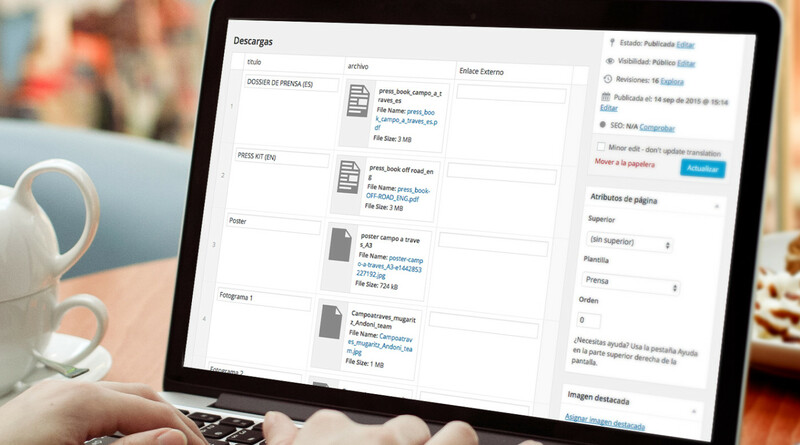 Film’s Press Office can add and edit content easily. Discover more works of gastronomy or Corporate Site.